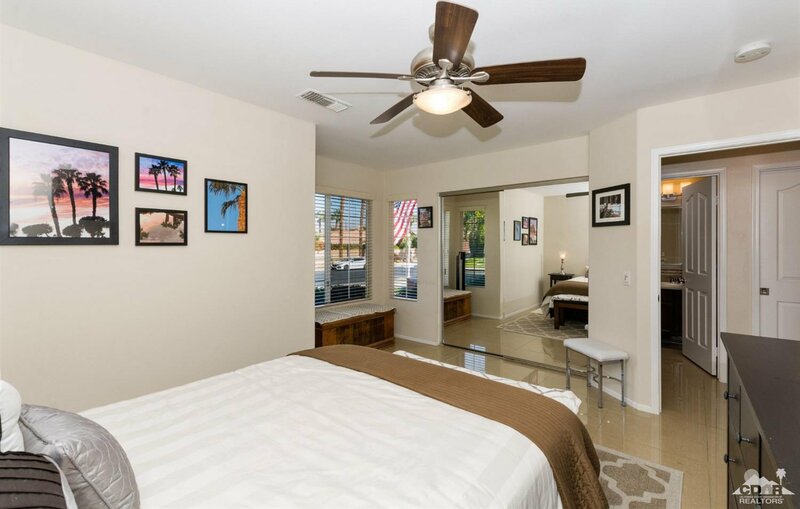 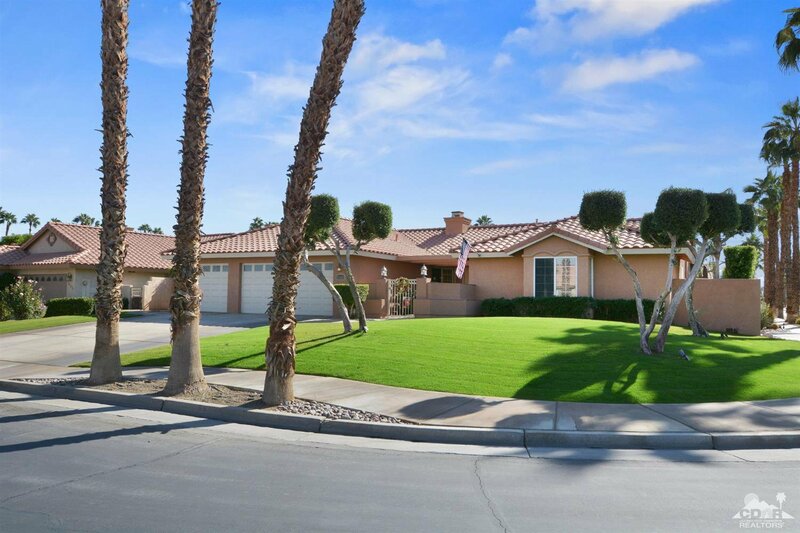 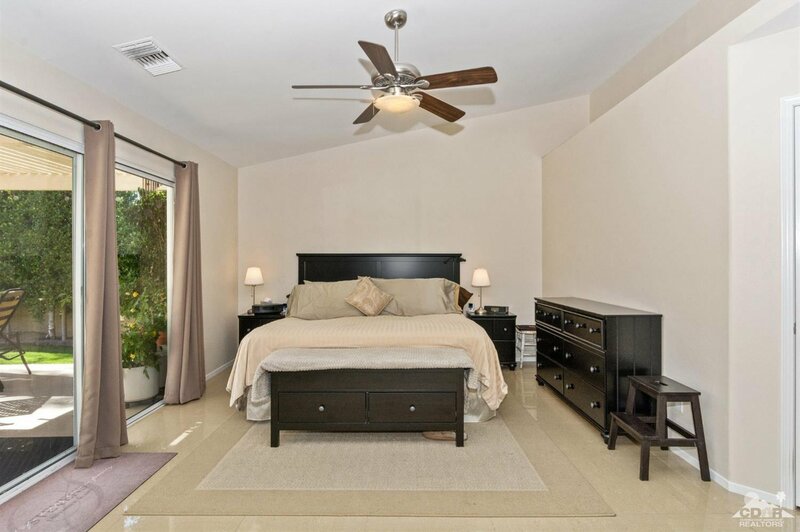 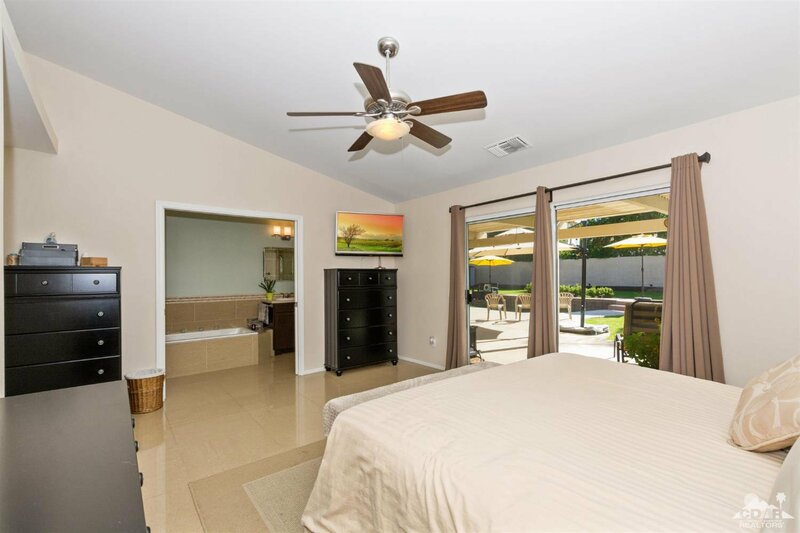 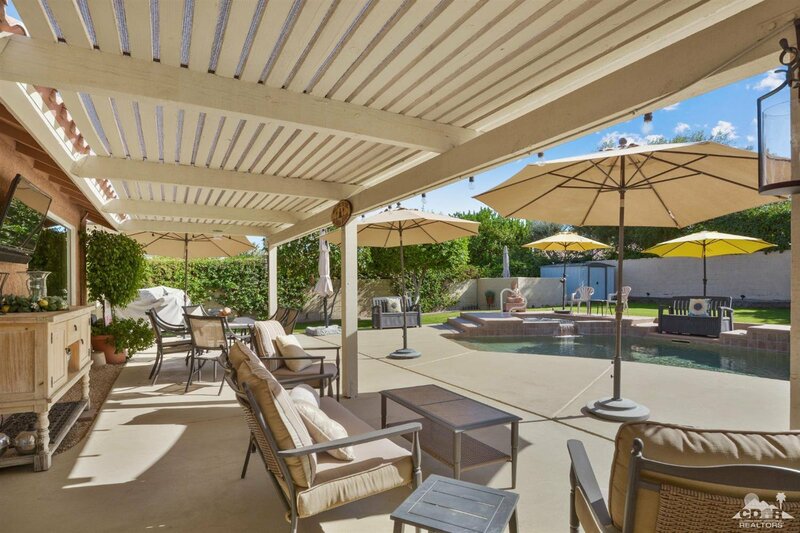 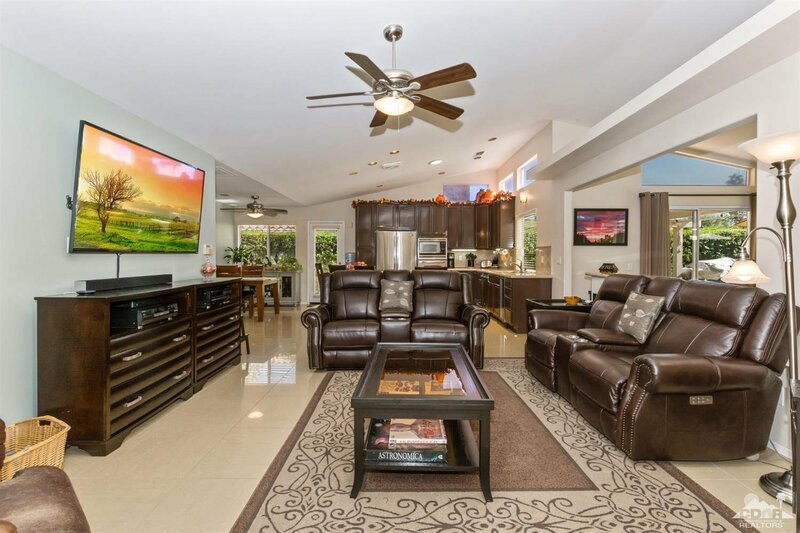 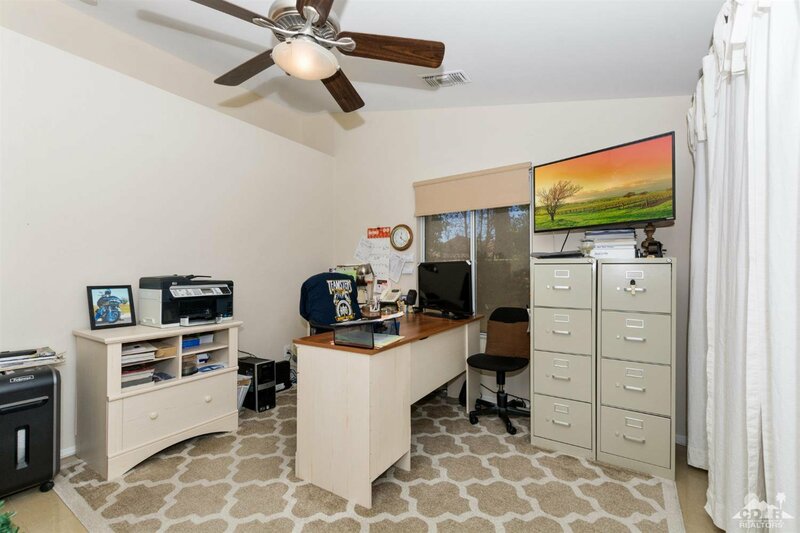 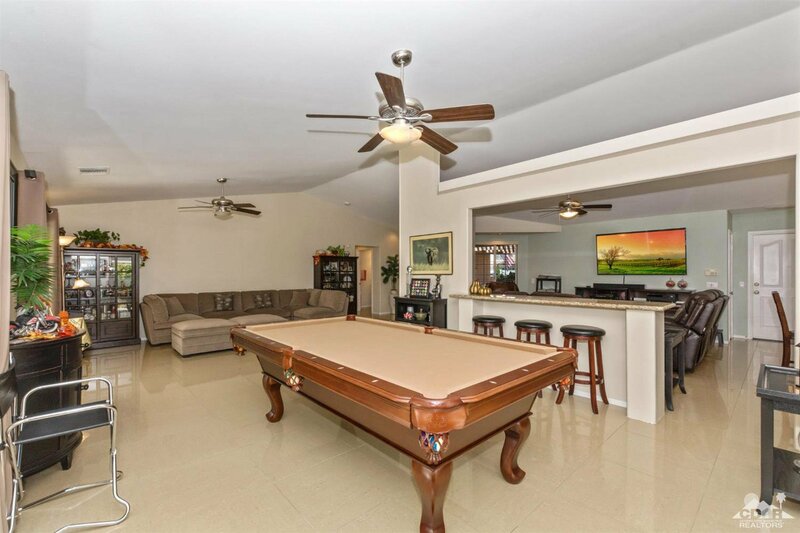 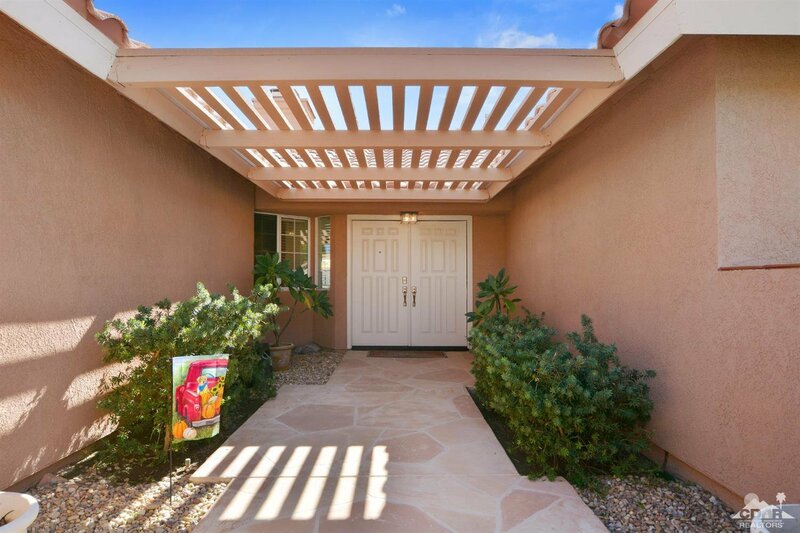 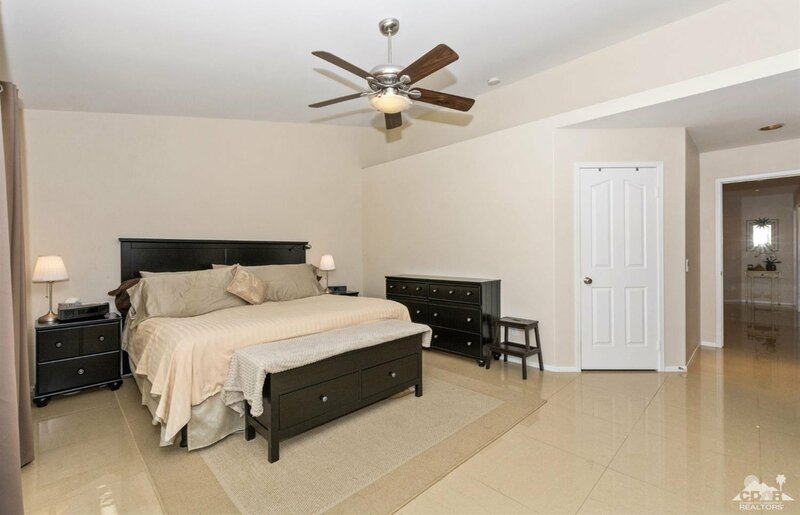 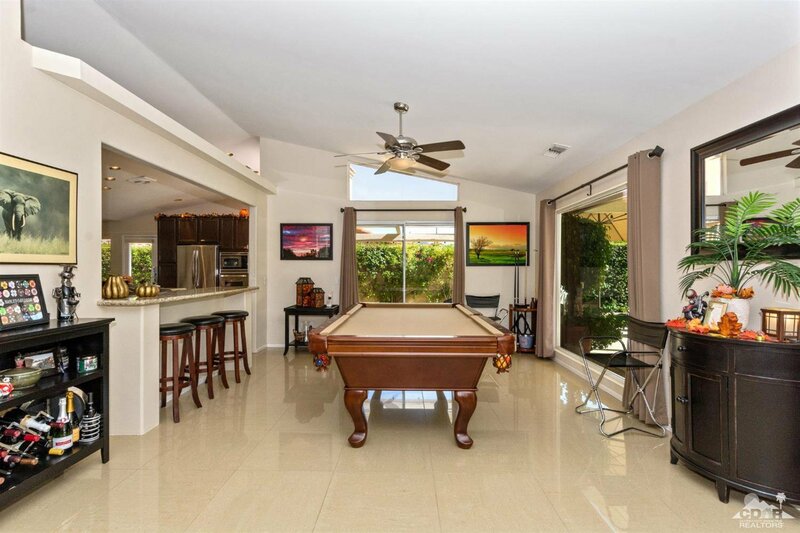 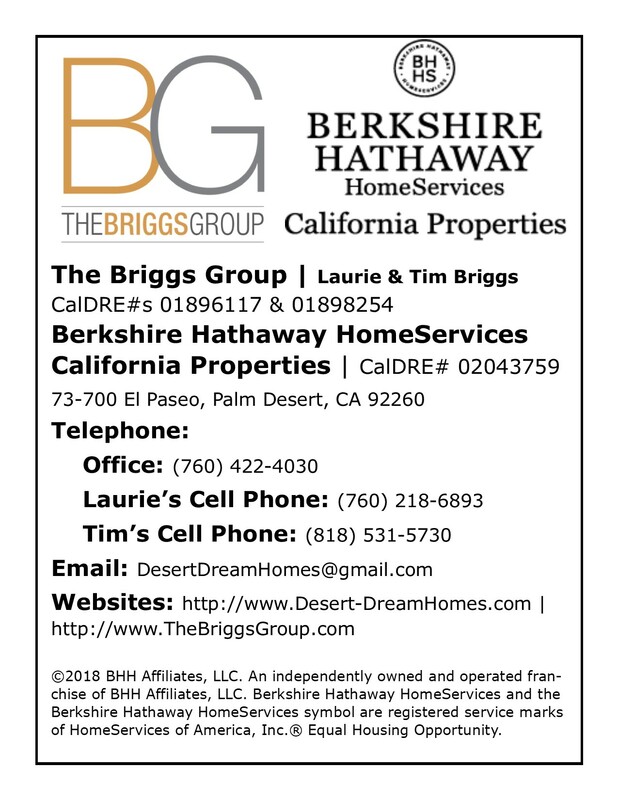 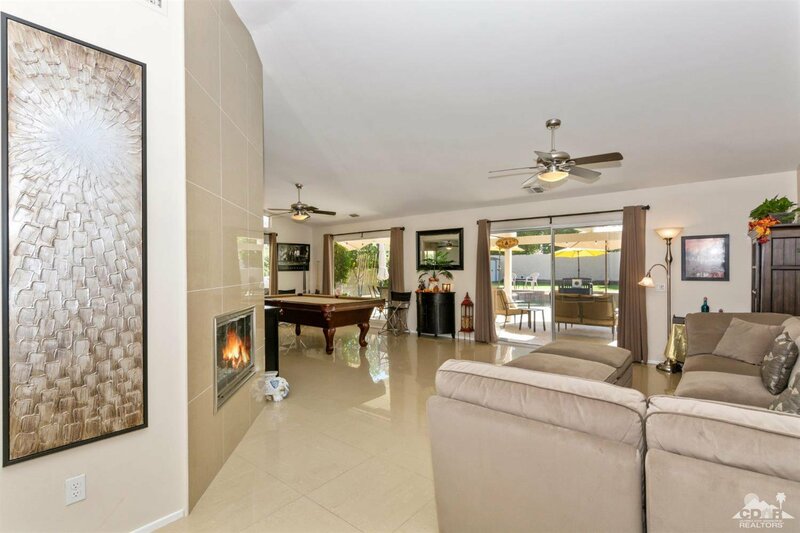 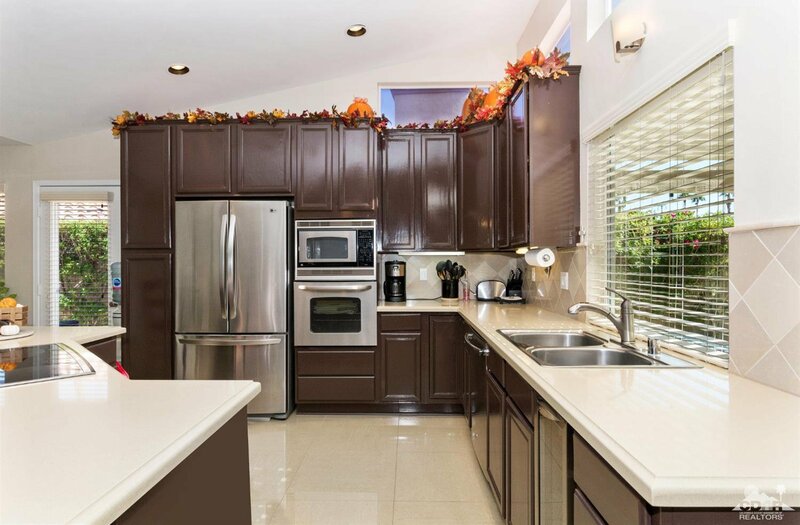 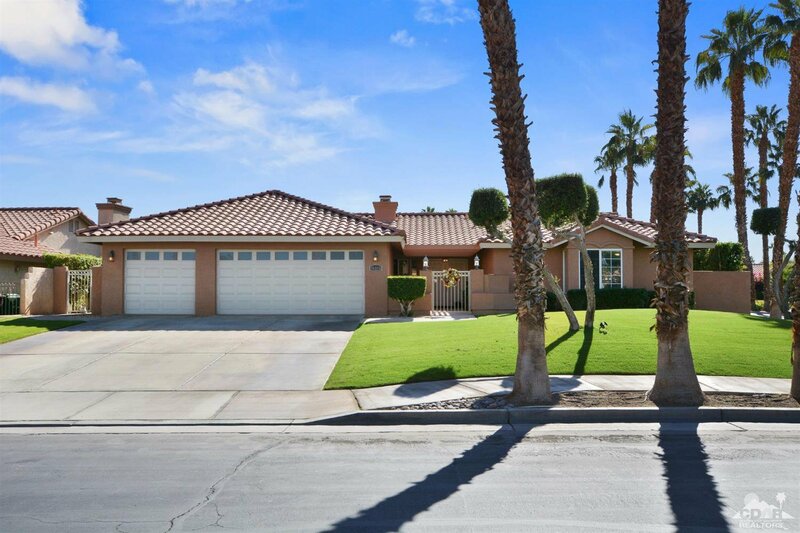 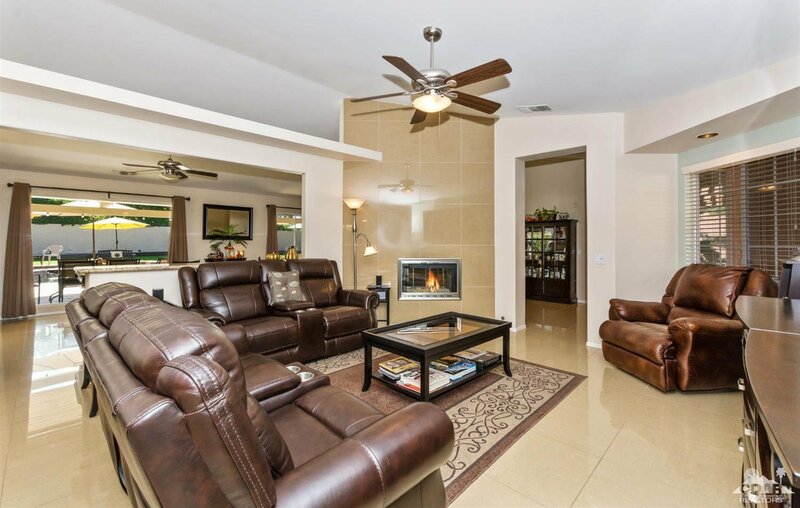 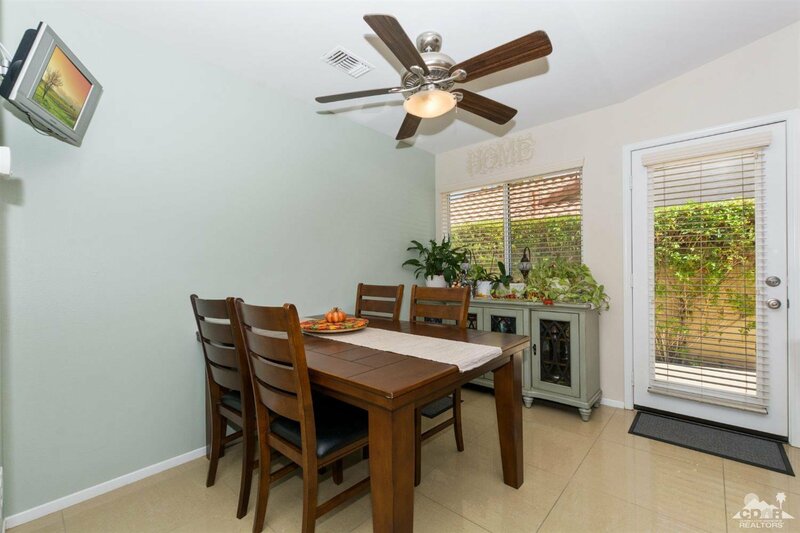 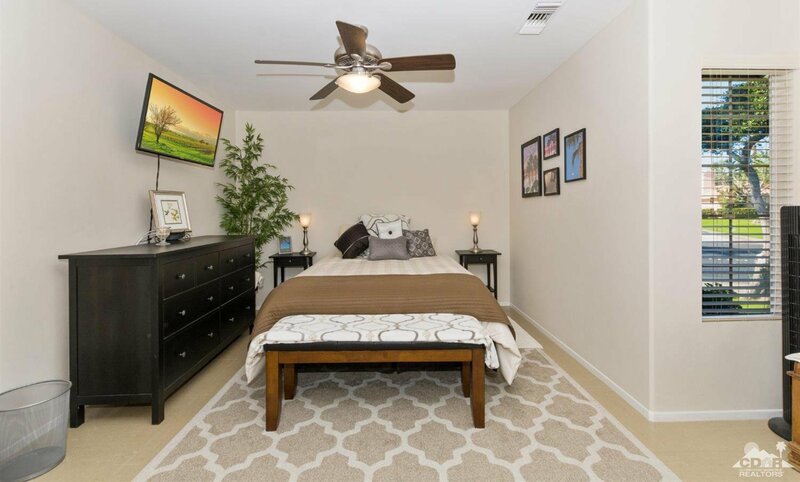 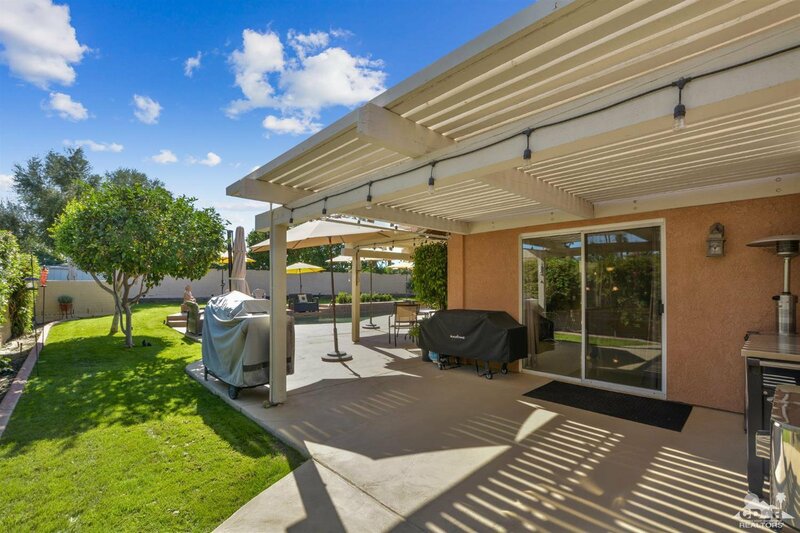 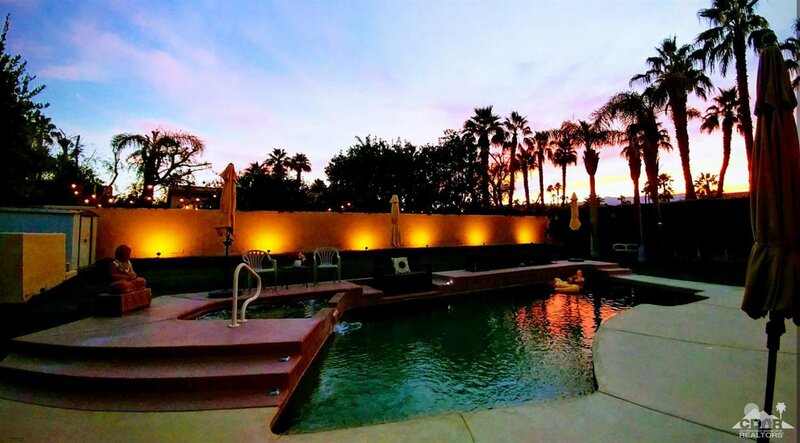 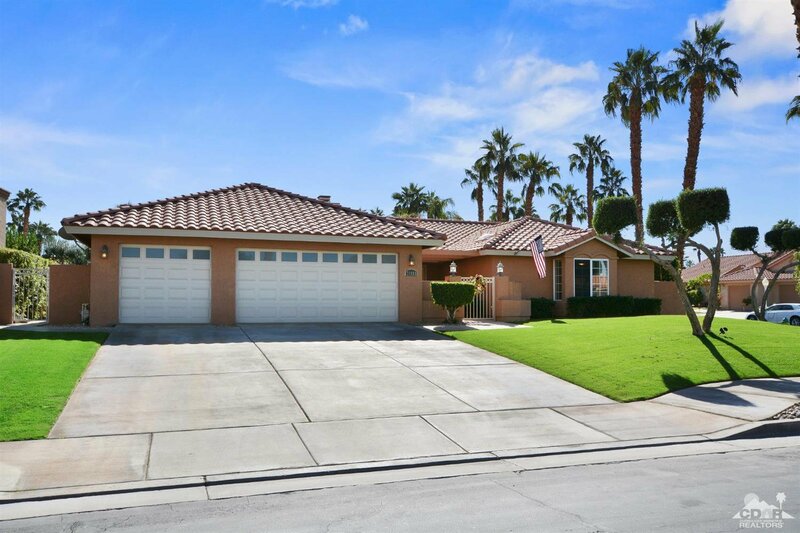 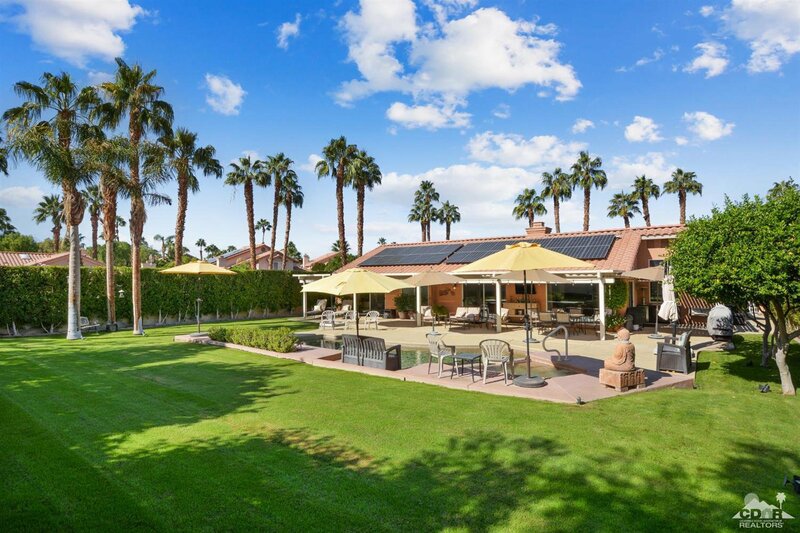 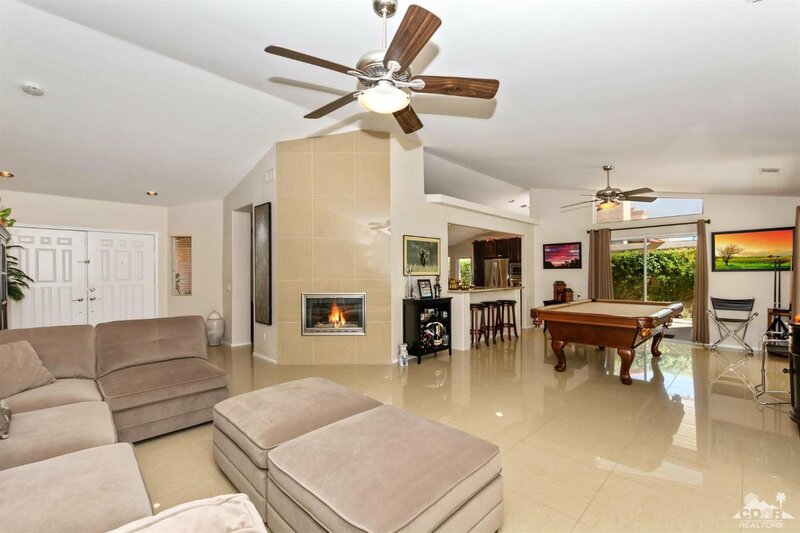 This spacious 2,235 sq ft, 3 bedroom, 3 bathroom home, perfect for entertaining family and friends, sits on a large corner lot in the gated Regency Estates community in Palm Desert. 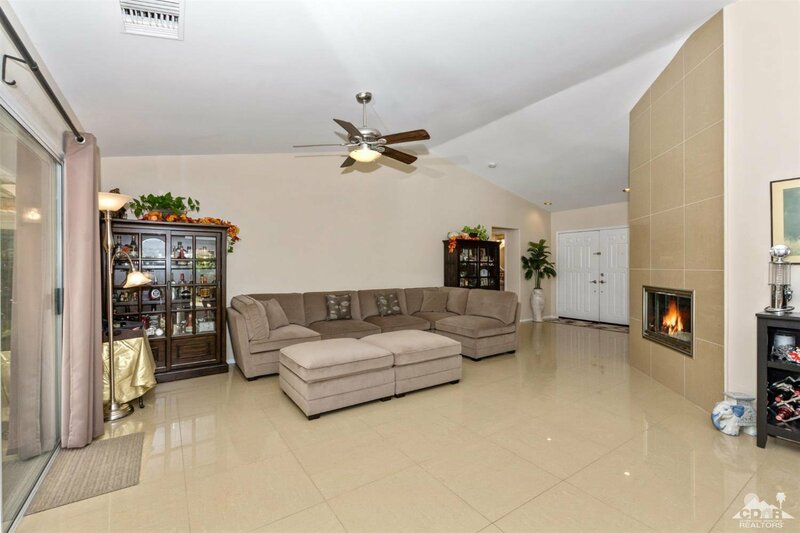 Inside, the home features an open floor plan. 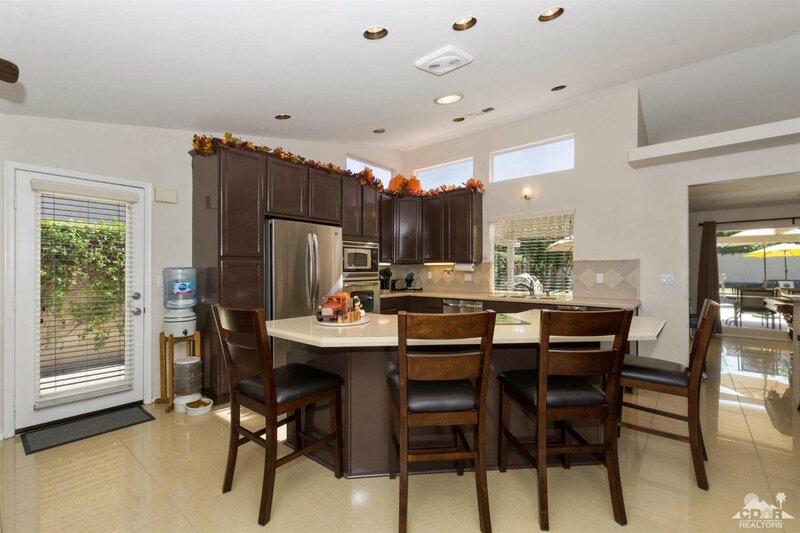 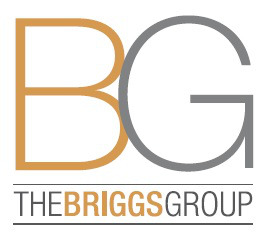 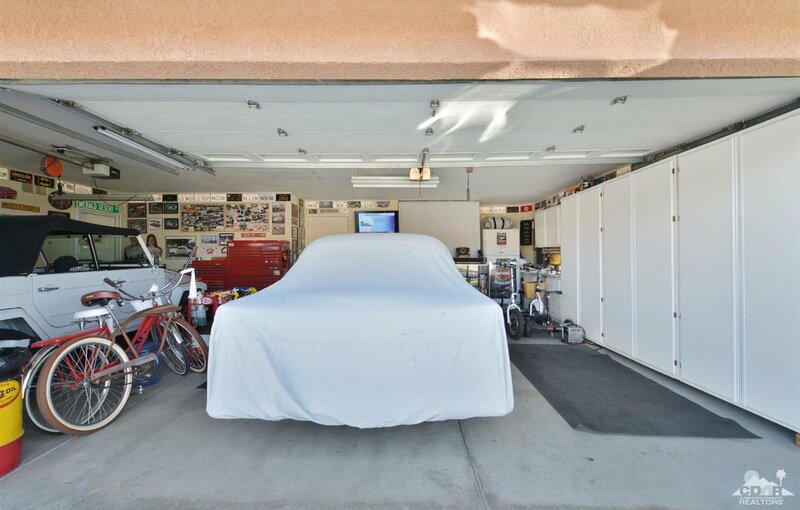 There is a remodeled kitchen with newer cabinets, counters and stainless steel appliances. 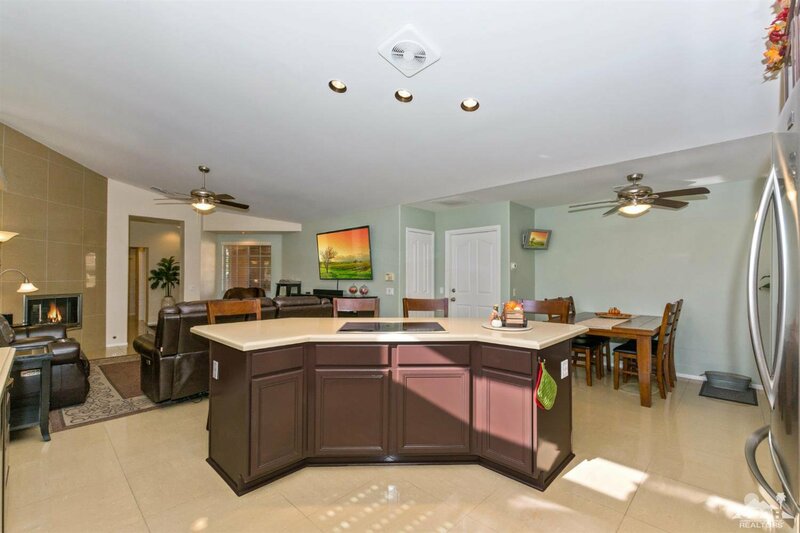 A large island with the cooktop and breakfast bar creates a perfect gathering area for family and guests. 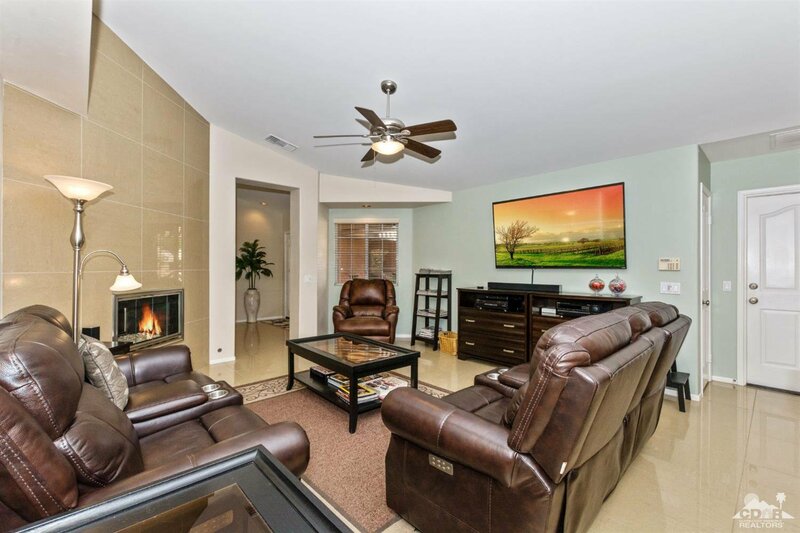 The adjoining family room area has a dual glass fireplace that opens to both the family room area and the living room area. 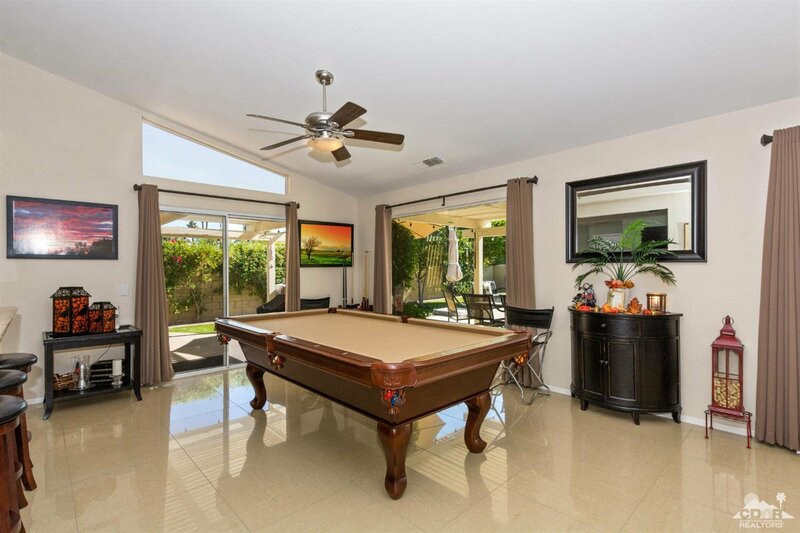 Large living room and dining area windows and patio doors open to the large south facing covered rear patio that extends across the rear of the home and the oversize pool/spa. 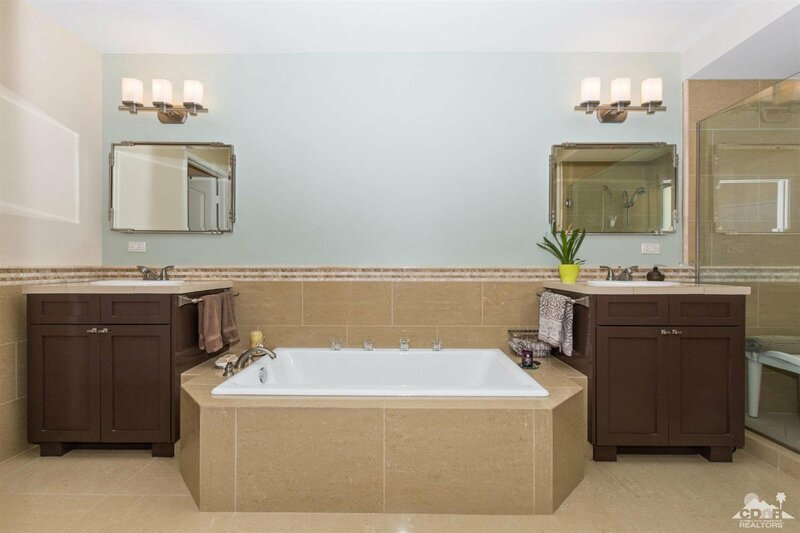 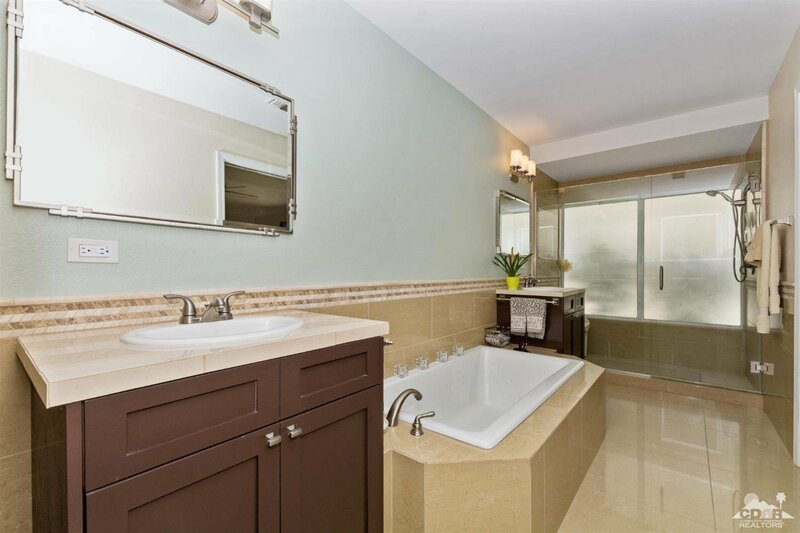 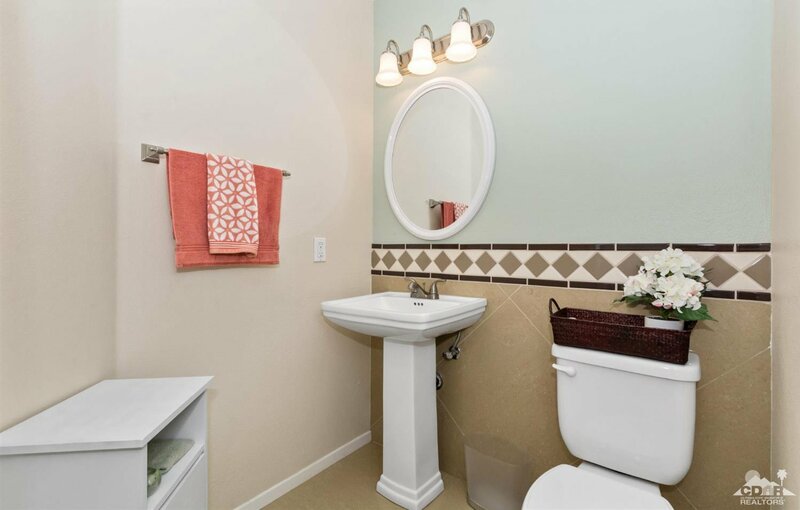 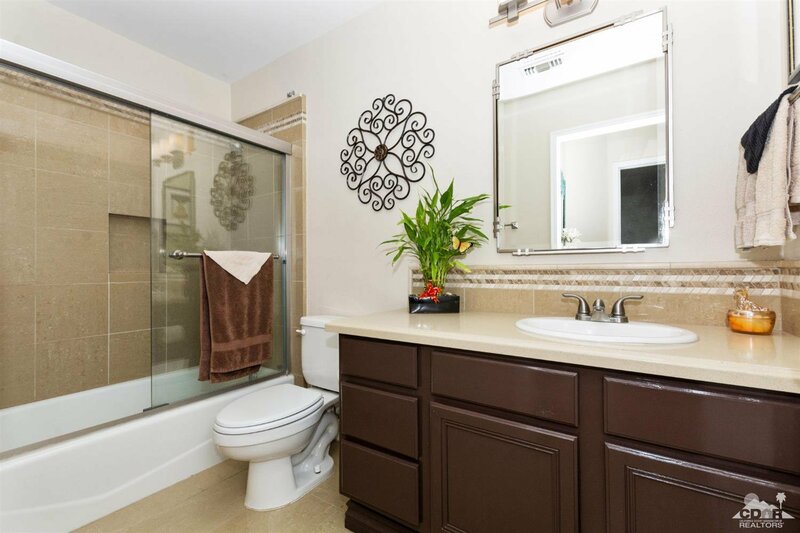 The master bath has been totally remodeled and has a private spa feel. 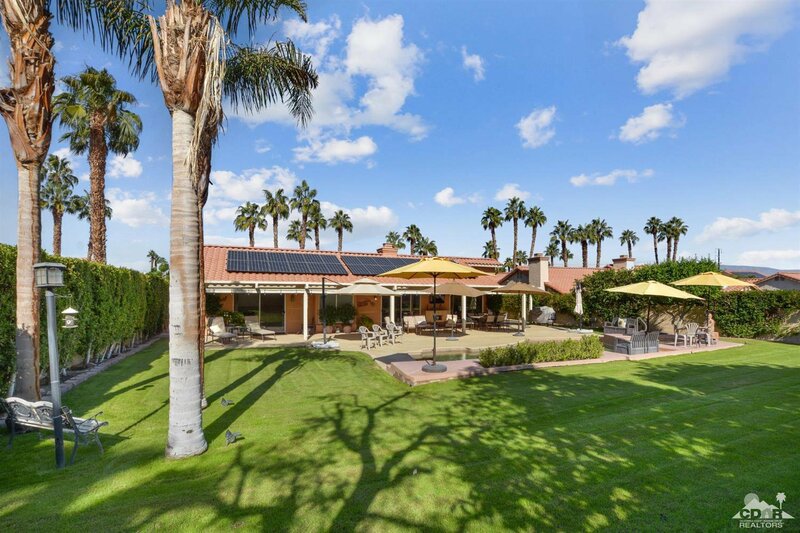 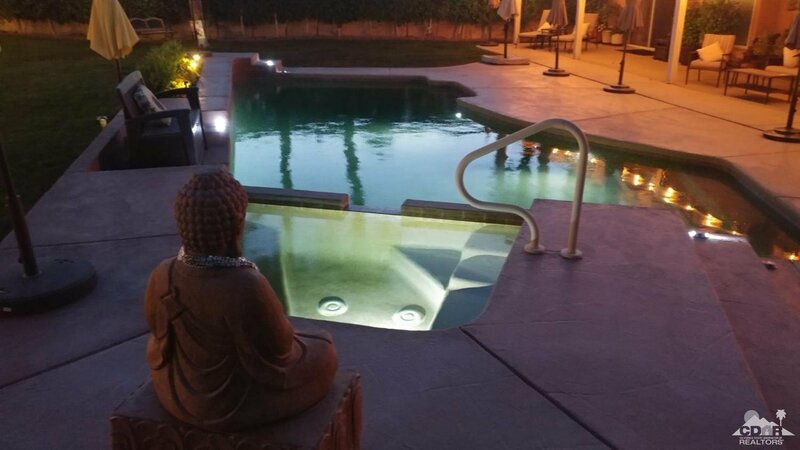 Outside, the location provides stunning Santa Rosa Mountain and sunset views. 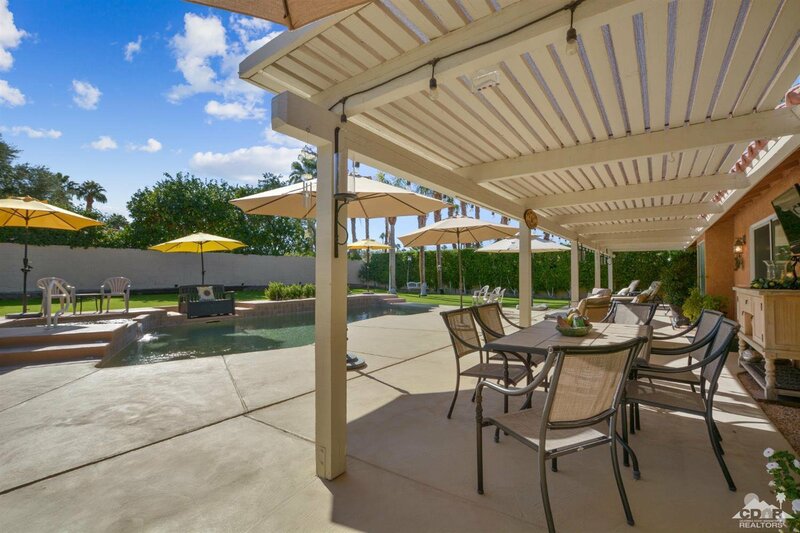 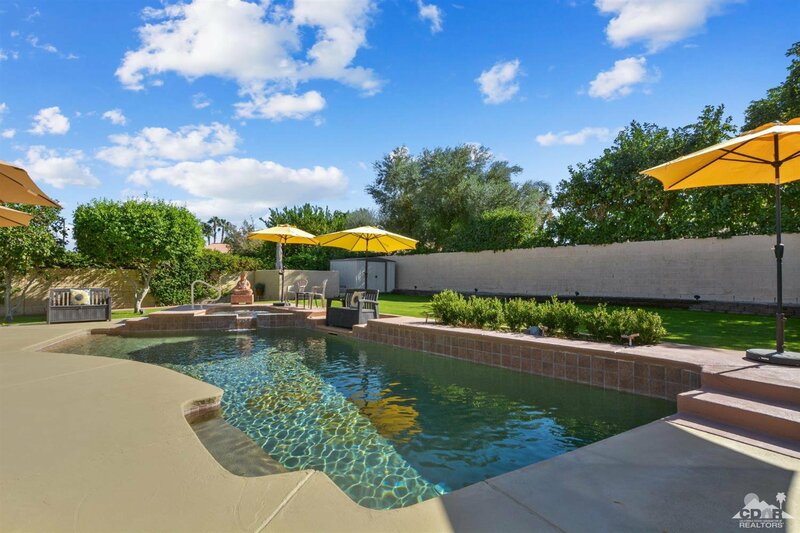 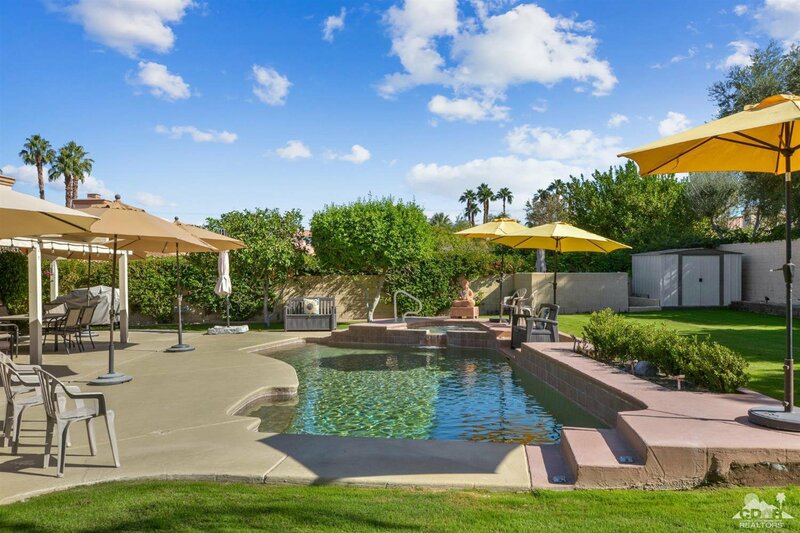 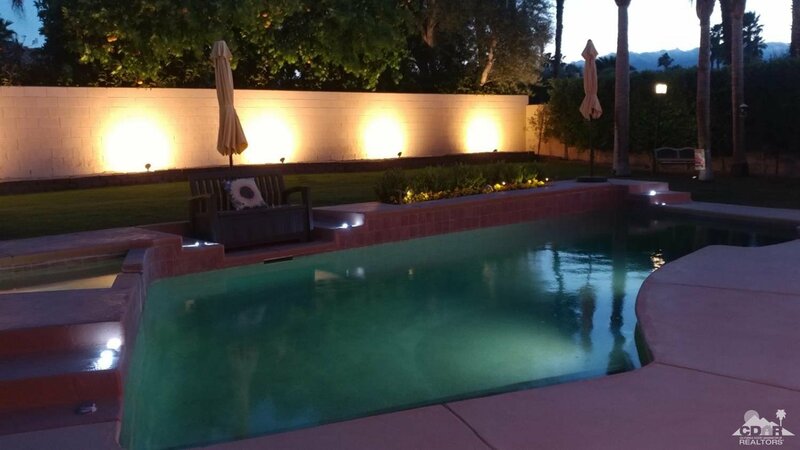 The large rear yard backyard has a beautiful pool and spa and large grass area, perfect for bocce ball, croquet, horse shoes.